Feb 6, 2014 was another milestone day in the Enchanting Travels journey of ten years and counting! Our US entity, Enchanting Travels, Inc was incorporated in the state of Colorado. Founder Parik Laxminarayan sums up his experiences of searching for the perfect location in the USA so that we are closer to supporting all our guests residing in North America. It is 10:56 am. It is two degrees Celsius, 36 degrees Fahrenheit outside. There are buildings and people everywhere. And my head is exploding with thoughts and enthusiasm. As I overlook midtown Manhattan and the Hudson River from my 29th floor New York City hotel room feeling completely dwarfed by the much taller skyscrapers all around me, I reflect on the numerous interactions and impressions from my two week trip through the US in search of the best place to set up our office. During this trip, I met with several Enchanting guests: lawyers, tax accountants, realtors to see office space and friends and professional contacts from my time living in the US between 1995 and 2003. I started my trip in San Francisco and the incredibly innovative and quirky Bay Area / Silicon Valley. It was incredible to see the spirit of entrepreneurship and innovation in such a small area. It seemed like everyone was trying to figure out and define tomorrow with crazy ideas, hair-dos and funky inventions. Unmanned cars on the Google campus, a completely internet enabled city, leading technology companies everywhere! I had the unique opportunity of visiting the Facebook campus with a friend who works there and for a moment, I thought I was in Disney World. Vending machines with Apple products for employees to just take whenever they needed, giant screens, Mark Zuckerberg’s brainstorm room, tons of restaurants, people skateboarding around campus and everyone talking about how Facebook was cooler than Google and Apple! Then I went to Denver, Colorado, at the base of the Rocky Mountains. Denver is the now the fastest growing technology hub in America, the number one city for Americans to relocate to and is clearly a city on the move. 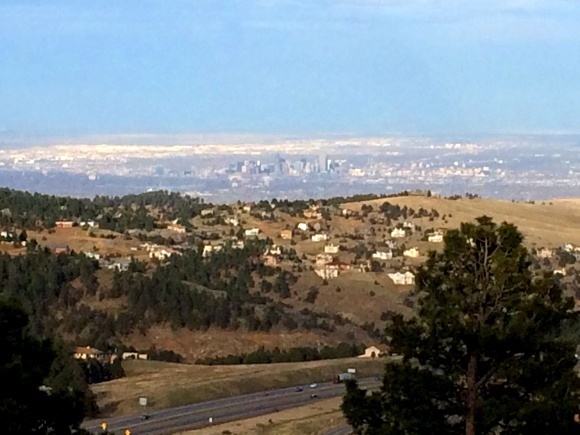 Several East and West Coast companies are relocating to Denver due to its 300+ days a year of sunshine, gorgeous mountain landscapes all around, quality of outdoor life, access to talent from the numerous universities and affordable cost of living. I also visited Colorado Springs, an up and coming city south of Denver. From Denver, I flew to Tampa, Florida, a wonderful, relatively warmer coastal city that is well known for its quality of life and alligators! I visited offices in the Tampa and St. Petersburg area. We have surprisingly few guests from the Tampa area but its tropical climate, excellent infrastructure and quality of life has attracted several East Coast retirees to make central Florida their home. Maybe its proximity to Disney World means that Tampa people have enough entertainment close to home. When it came down to it, the natural beauty of Colorado won my heart. We have been busy working behind the scenes to set up our office there, which we are pleased to announce is now complete! With the view of the Rocky Mountains from our window, it is a wonderful place for us to be based to help build our US presence. 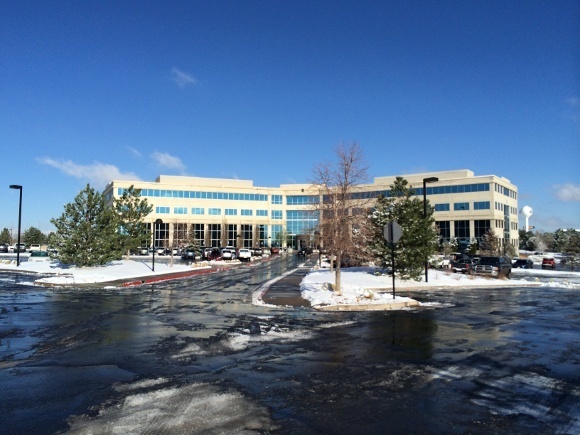 Our US office address is 8310 South Valley Highway, Suite 300, Englewood, CO 80112, USA. If you are ever in the area, do pop by and say hello! Our toll free US number remains the same as before: 1 888 263 2574. Get in touch with us to plan your tailor-made trip of a lifetime! Congratulations on the opening of your US office. We had a wonderful Enchanting holiday in India and will always use your company as first choice if we are able. Glad you are in America. Next step down under to Australia! Our best wishes to you all. We have used Enchanting India for 2 fantastic holidays in India and if going stateside is anywhere near as good, then the guests will have a fantastic time. We met Parik in Bangalore and found him to be one of the most dedicated and motivated people we have ever met. Congratulations and best wishes to you all. We met your company back during the spring of 2008 to organize a trip in India, and I think we fell in love with every one of your staff !! We were sad as we ended our trip in Mumbai at the end of the year, three weeks after the horrible terrorist attack, but we loved India even more !! For sure we want to go back and will work with you again !! Welcome here to the States !! Congratulations and wishing you all success and many many delightful clients! Greetings from Cape Town! Great choice choosing Denver! As a recent transplant from Washington, D.C., now living in Denver, I can tell you it is an amazing city with extremely talented individuals and a great quality of life. I used Enchanting Travel for a trip to India in 2012. I found the company through a recommendation from the Travel section of the New York Times. My daughter and I were given hands- on personal assistance every step of a very wonderful and perfect trip. It was an unforgettable experience. Congratulations Parik, another feather in ET cap.